There’s an old saying: What you can’t see won’t hurt you. But, that’s not true. Less than ideal air quality in your home can result in allergies, colds, languor, and even sleepless nights. Let in the fresh air. 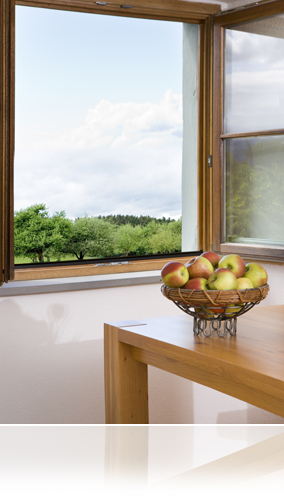 Weather permitting, open windows and doors to help circulate stale indoor air with fresher outdoor air. Change the furnace filter. According to studies, most filters on forced air heating systems in homes do not get changed regularly. Tip: Change the filter when you change the batteries in your smoke detectors – at least twice a year. Easy on the household cleaners. Cleaners that are tough on stains can also have the same effect on your health. So use them with care. After cleaning any surface, wipe the residue dry with a clean absorbent cloth. Keep things dry. Mould spores thrive on moisture. So make sure bathroom fans adequately remove humidity. A fan should be strong enough so that a piece of paper clings to the intake. Next Next post: What Should You Expect From Your Realtor?